PT Indosat Tbk – Indosat or more popularly called “Indosat Ooredoo” is a public-listed company in Indonesia, running business in telecommunication services Industry. Indosat Ooredoo’s main business focus rests on internet and cellular services. Indosat Ooredoo is positioned inside the top three of cellular operators in Indonesia in terms of total subscribers. As at the end of September 2015, Indosat has more than 69 millions active subscribers. Indosat Ooredoo is owned and managed by Qatar-based Ooredoo Group (previously known as Qatar Telecom), one of the largest telecommunication services companies in the Middle East and North Africa regions. At present, Indosat Ooredoo is 65% owned by Ooredoo Group through Ooredoo Asia Pte Ltd. The remaining 35% interest in Indosat Ooredoo is owned by the Government of Indonesia, 14.29%; and public, 20.71%. 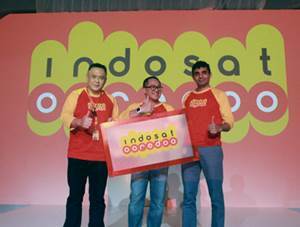 Headquartered in Jakarta, Indosat Ooredoo now has 5 subsidiaries and 5 affiliated subsidiaries. Indosat Ooredoo especially achieved a positive performace in the third quarter of 2015 (3Q 2015, ended in 30 September 2015) through increasing total revenues. According to Indosat Ooredoo Corporate Presentation 3Q 2015 as cited by JobsCDC.com, Indosat Ooredoo registered total consolidated revenue of Rp 19,582 billion in 3Q 2015. These total consolidated revenue figures reflected an 10.5% increase as compared to total consolidated revenue in 3Q 2014 amounted to Rp 17,717 billion. Candidate holds at least a Bachelor Degree (S1) with Management background from reputable university. More than 3 years (3+) of experience in sales management. Past experience in financial services company for at least 2 to 3 years at the same level. Solid experience in developing and managing strategic partnering relationships. Proven experience in developing sales team and maintaining sales targets achievement. Strong knowledge of sales process management concepts and implementation. Have a good understanding in the field of sales process management and development. Highly entrepreneurial self-starter and manager/coach by hands-on in defining objectives and producing deliverables in a fast-paced environment.